Ancient grains are back in popular favour. A trend that we reckon will only continue to rise. But what even is an ancient grain? And why should we care? 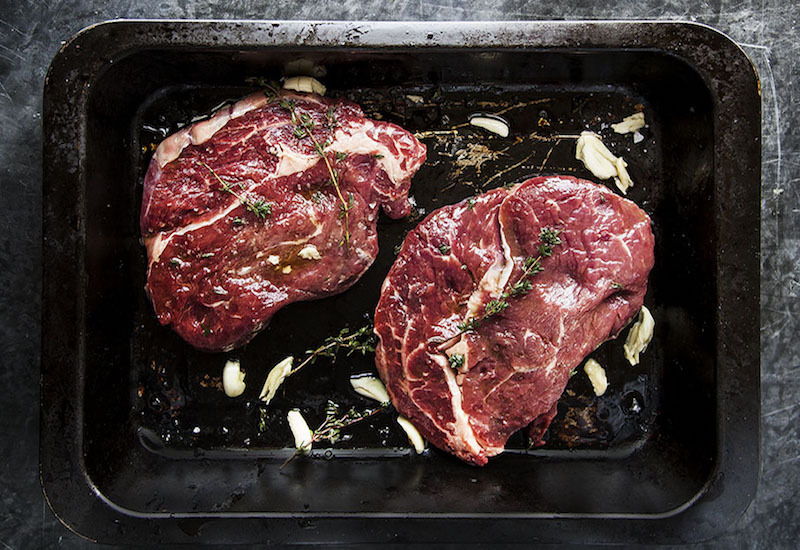 Here’s our guide to why we’ve gone crazy for them, their benefits and how to cook them. Grains make up more than half of the world’s daily calorific intake. Not to mention the vast amount that also goes to feed livestock – which, in turn, we eat too. It goes without saying that without grain we’d have very different eating habits. And if the world’s grain supply were to suddenly stop tomorrow? We’d be in big trouble. Wheat, corn and rice are the main players – the ones we humans eat the most of. These are crops that have been selectively bred for thousands of years, developed for their resistance to disease and ability to produce high yields. The problem lies with how intensively these main crops are grown, designed to rely heavily on fertilisers and herbicides to grow – damaging not just for our health, but our soils, water and environment as a whole – and to last longer on our shelves. Rather than breeding these crops for their flavour or nutrition, our main source of energy has been bred simply for the quantity it yields, and the economic return it provides big agro-business. And that’s where these so-called ancient grains come in. These refer to grains – like, spelt, barley and millet – and pseudo-cereals – like, quinoa, buckwheat and amaranth – that have been little changed by selective breeding. Meaning, they are genetically very similar, both in terms of flavour, nutrition and yield, to the grains our ancestors would have eaten centuries ago. 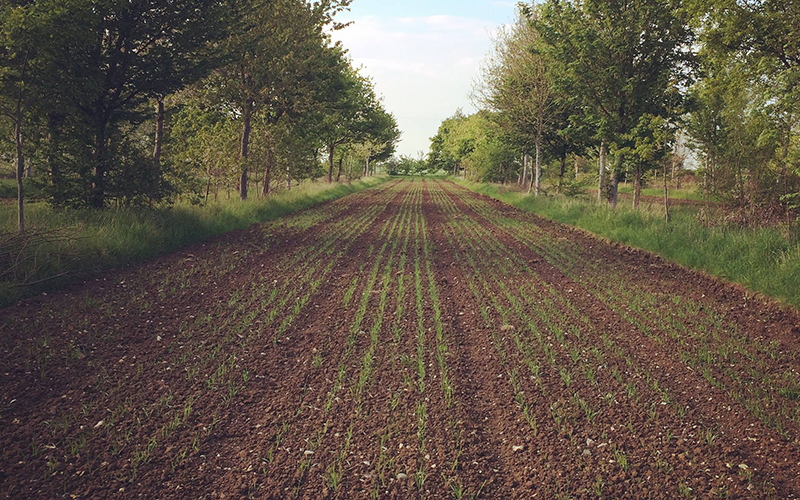 Naked Barley growing at Wakelyns Agroforestry – a research farm run by Professor Martin Wolfe a couple of miles away from Hodmedod’s HQ in Suffolk, it’s the perfect place for organic trial plots. This enables the team to try out new and ancient grain varieties on a very small scale and to look at how existing crops might work in different systems. 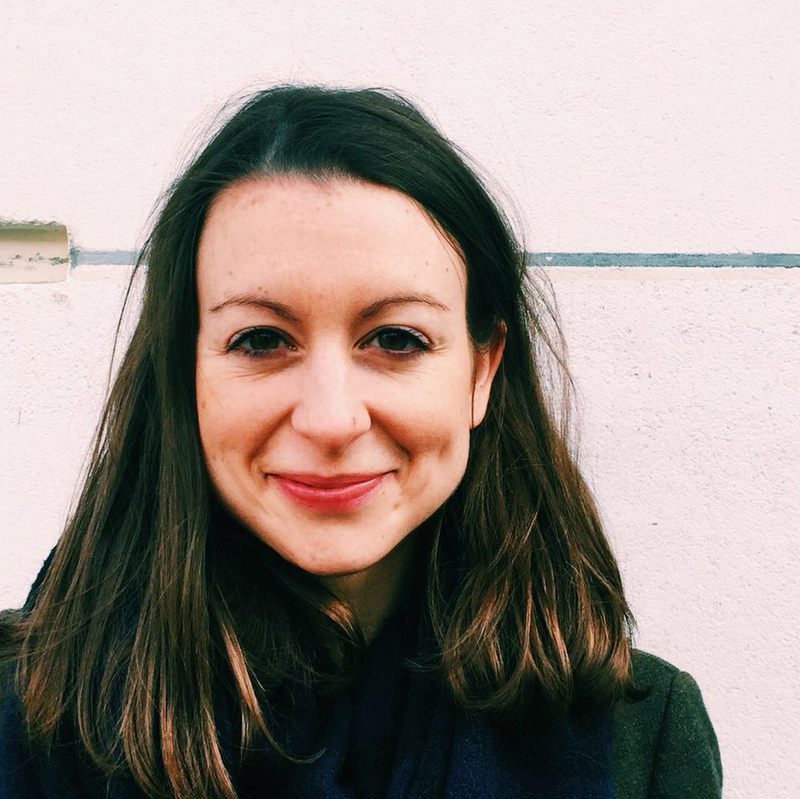 “It’s not because they’re ancient that they’re better – if anything that tag is meaningless – it’s their diversity and what this can bring to our diets and farming systems that’s the key”, stresses Josiah Meldrum, co-founder of Hodmedod’s, the pioneering British suppliers of unusual and underused grains. “More genetically diverse farm systems, that include a range of cereals in a long rotation, tend to be more resilient to disease and pests. These older varieties also have deeper roots and are better able to draw more of their water and nutrients from the soil than the input-hungry short rotation monocultures we’ve come to rely on”. 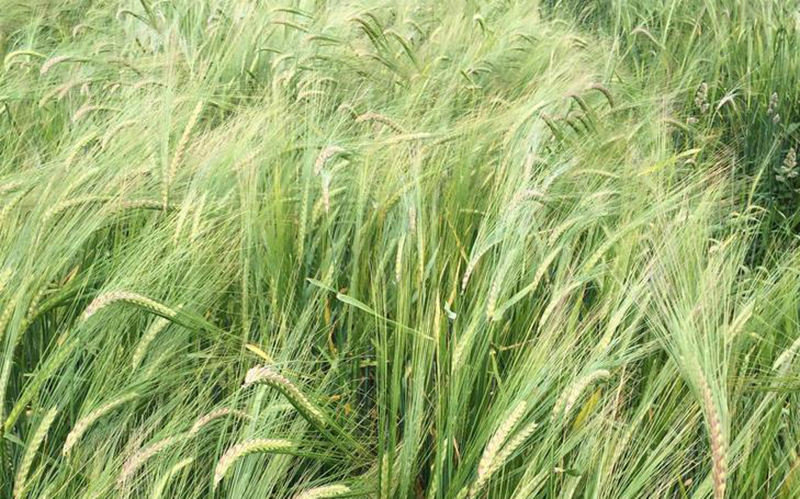 After a global search for seed, a couple of years of trials and several months working out how to flake and mill it, Hodmedod’s have welcomed organic naked barley into their range. These ancient grains are often more nutritious (a little more exciting) too. A good example is naked barley. Named so because unlike normal barley, the grain falls from the ear without the need for polishing. This also means that, unlike polished or pearled barley, when you eat naked barley you’re eating a whole grain. Naked barley was a popular crop among Bronze and Iron Age farmers because it’s easy to prepare for milling and eating immediately after harvest, but by the mid 20th-century it had practically disappeared, with wheat taking its place. However, naked barley is a crop that requires half as much water per tonne as wheat and needs far less fertiliser. It’s high in complex carbohydrates, especially beta-glucan – a soluble fibre that has been shown to reduce blood cholesterol. Also when compared to wheat, it’s higher in protein – around 15 or 16% as compared to 10 or 12% for wheat. “It might have been forgotten by modern farmers and millers, but it can really fit into today’s farming systems, and while it doesn’t produce as high a yield as many other cereals, what you do get from it is far more beneficial to both our health and the environment”, says Josiah. 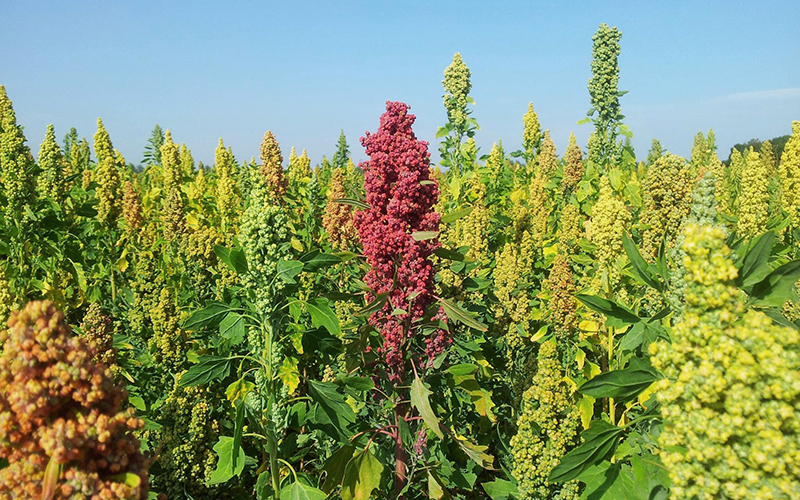 Sandoval quinoa crops being grown in East Anglia for Hodmedod’s. The trick is in getting people to buy it. In the UK, farmers rotate their crops. Meaning, they alternate between crops that exhaust the supply of soil nutrients with those that replenish them. When it comes to grain, however, many farmers struggle to grow and sell any that aren’t wheat at a profit, simply because there isn’t a big enough market for them. 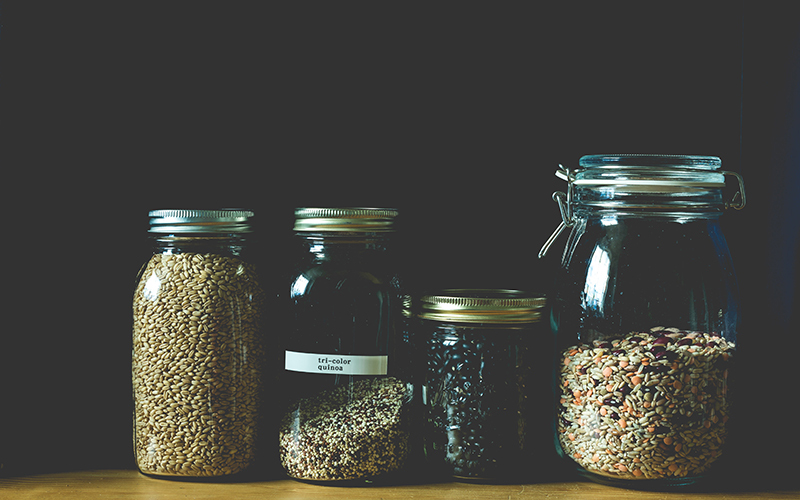 Thanks to Hodmedod’s and a handful of other pioneering farmers and chefs, change is happening to promote the benefits of unusual and under-used grains, encouraging people to use their purchasing power and incentivising farmers to diversify the grains they sell. 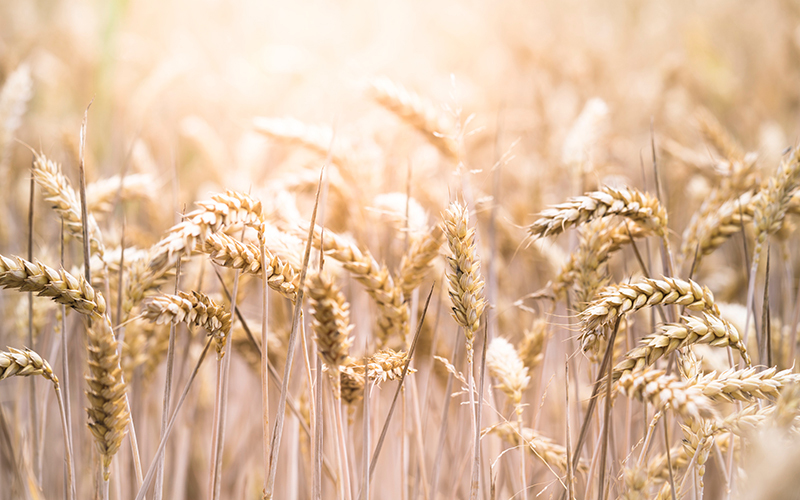 Hodmedod’s are selling the UK’s first-ever crop of quinoa, Gilchesters Organics grow and mill grains from einkorn to rye, and Sharpham Park’s organic spelt is sold as flour, porridge and grain. 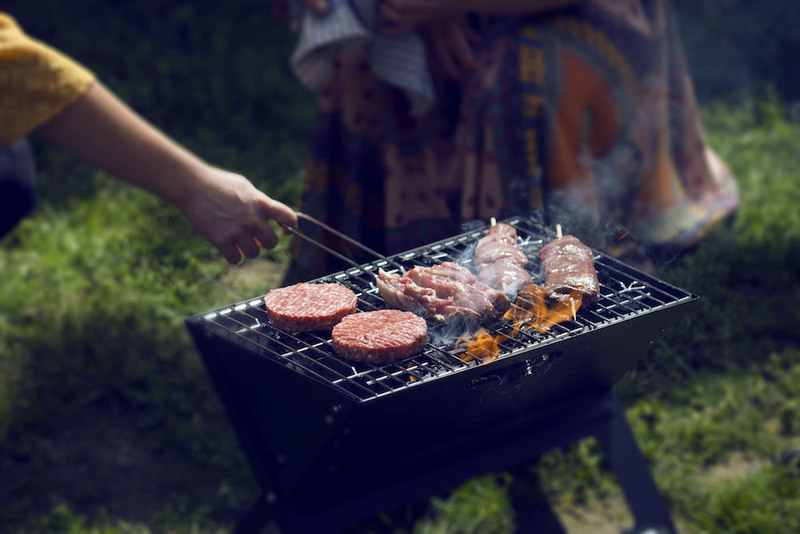 As consumers, the key is in varying what we eat and supporting the farming systems that enable us to do that – farming systems that are moving away from a one-size-fits-all approach, and rethinking what they grow so it’s more in tune with agro-ecological principles, precisely by introducing a diversity of plants to the land. Helping them to do that could start, simply, with the grains we eat. 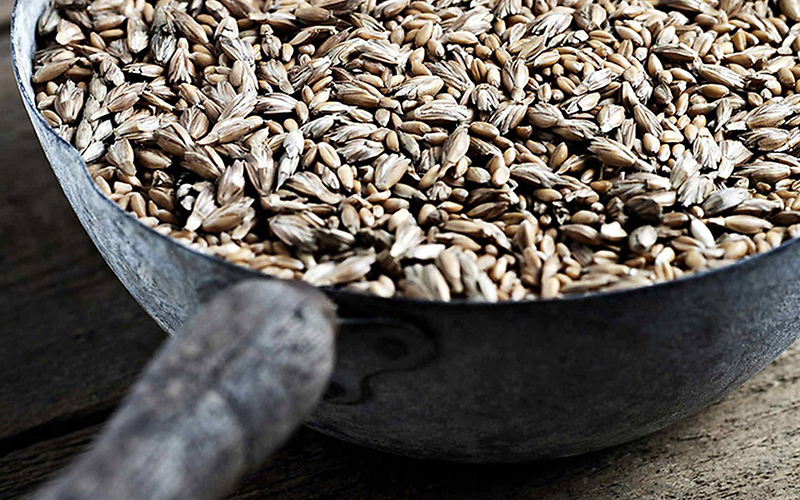 Spelt is an ancient member of the wheat family and a hybrid of emmer wheat and goat grass. It grows five-feet high whereas modern wheat has been bred down to a more machine-friendly waist height. Nutty in taste, it’s full of fibre and a tasty addition to stews and soups. Pearled spelt is made by bouncing it over five rotating stones which remove the outer bran so it can absorb water and flavour when making risotto. 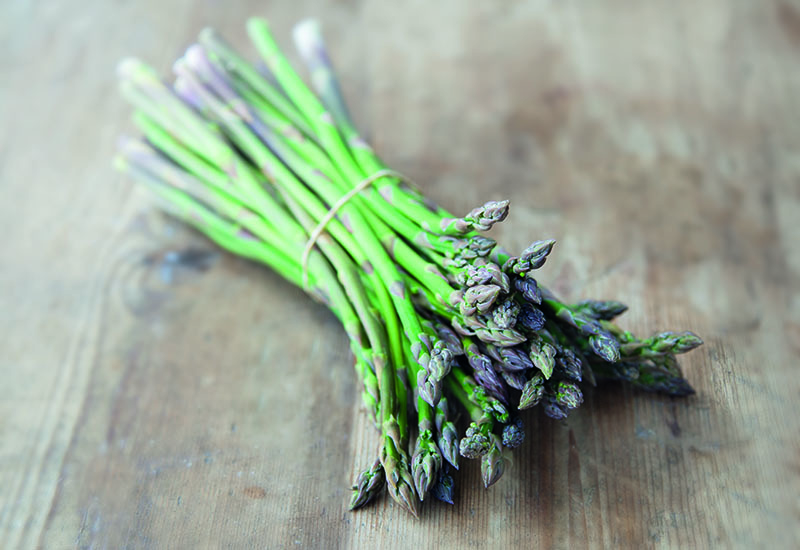 Try Sharpham Park’s organic whole or pearled varieties, grown in Somerset. Einkorn is the earliest type of wheat that humans grew and ate. 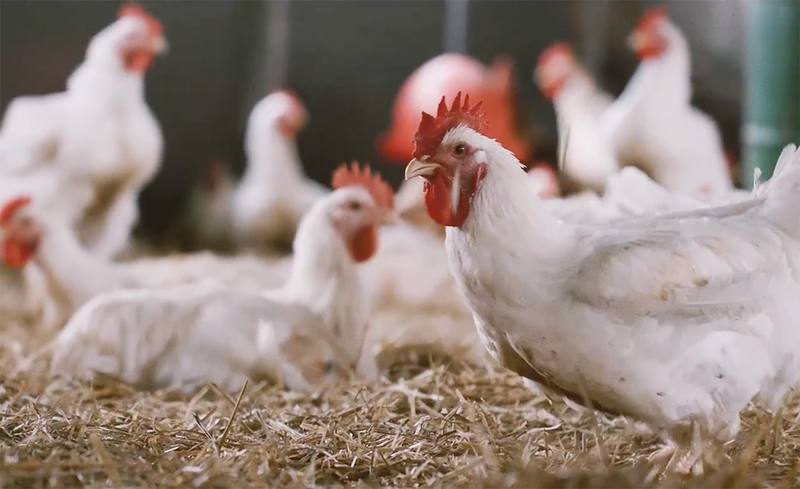 Einkorn production completely disappeared in the UK until 2008, when Doves Farm started working with a small group of organic farmers to re-establish the production of einkorn. Higher in protein than commercial wheats, einkorn flour has a nutty flavour and makes great rustic style breads and pizza bases. 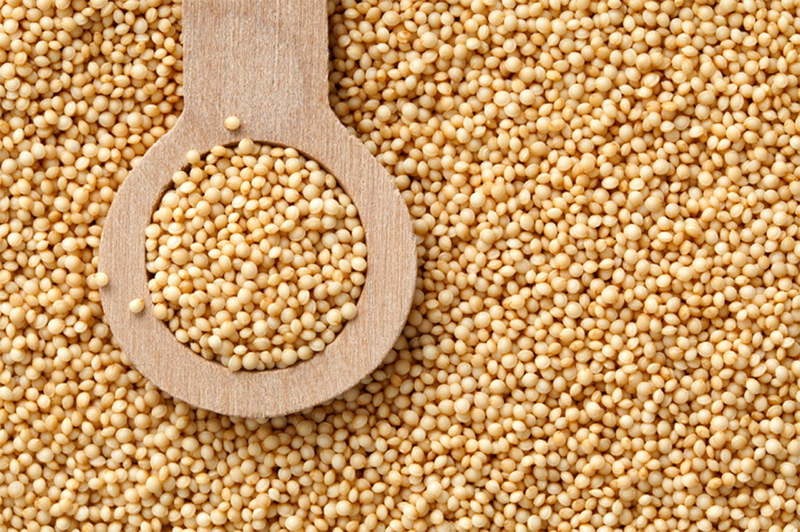 Quinoa is actually a seed, not a grain, but it’s used in much the same way. 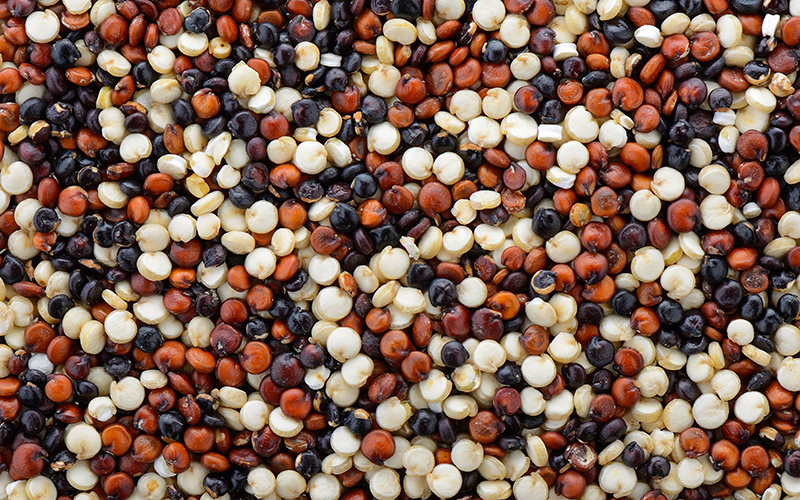 Grown in Peru, Chile and Bolivia for thousands of years, quinoa formed the staple diet of the Incas. 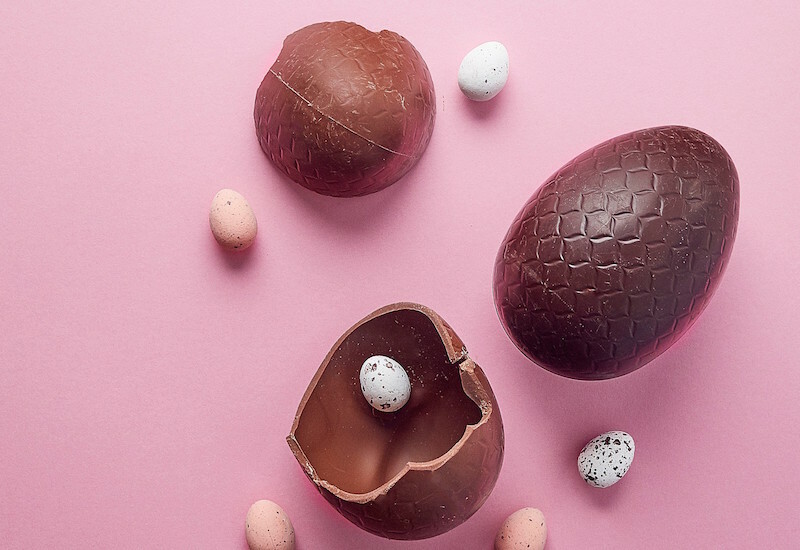 It’s a complete protein, which means it contains all nine essential amino acids, and it’s gluten-free. Try its black, red or white varieties in salads, use it to bulk out casseroles or as an alternative to rice or couscous. Try Hodmedod’s pioneering British quinoa. 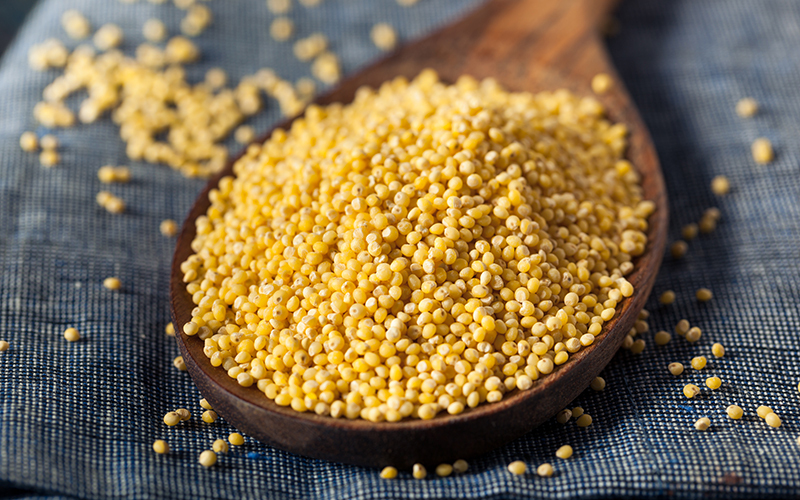 Millet has a mild, sweet, nut-like flavour. A staple for a third of the world’s population, it’s most commonly eaten in India, China and Africa. 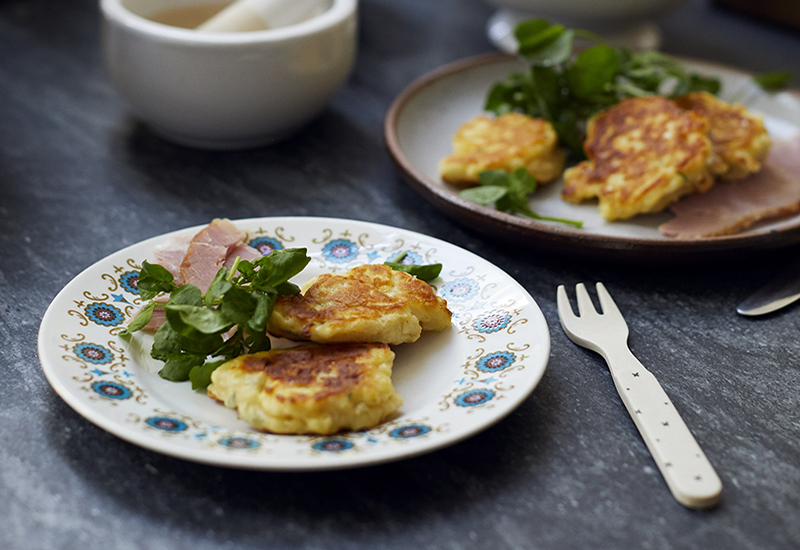 It’s another gluten-free seed, a good source of protein and is high in fibre and B vitamins. Use it in place of oats to make porridge! 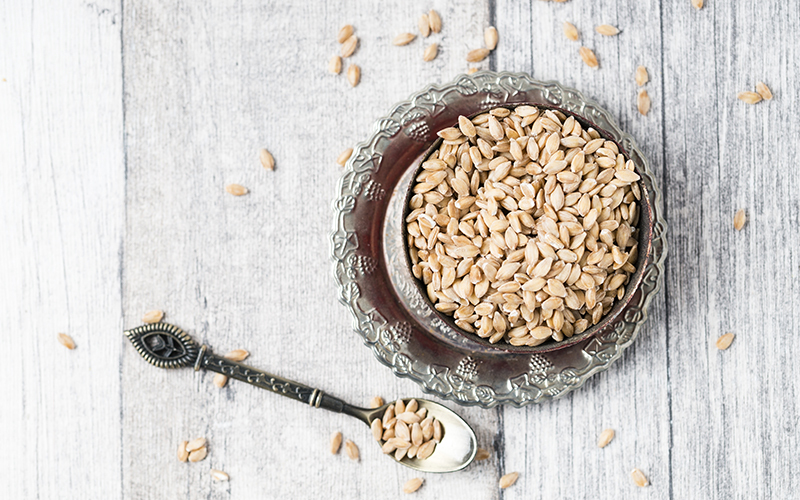 These tiny seeds are yet another great protein source and are also naturally gluten-free. You can use it much like quinoa, or in place of other grains in salads and soups, or try toasting them in a dry frying pan for added crunch to salads or breakfast bowls. Intrigued? Here’s everything you need to know about amaranth. 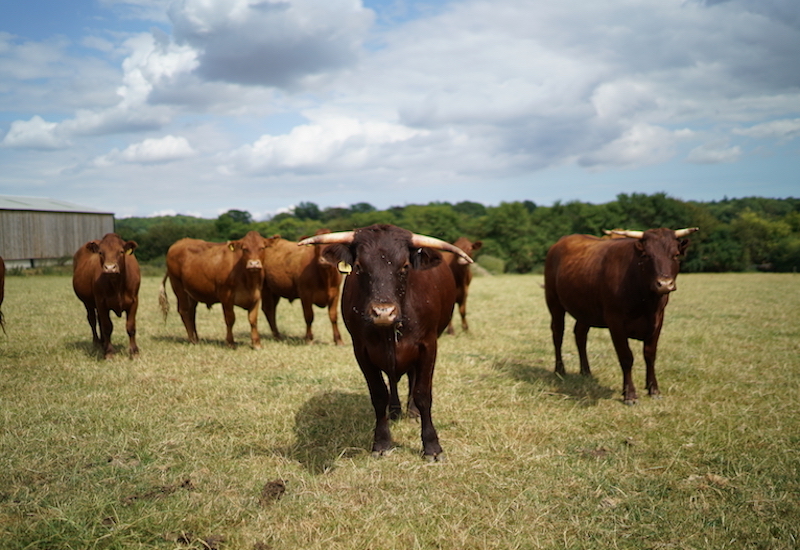 Discover Hodmedod’s and Sharpham Park at farmdrop.com.